Julian Elliott, senior, produces rap songs in his free time. Over the past month, his rap song “Coolest of Da Coolest” gained a lot of attention on SoundCloud. 5,413 plays in 1 month. 114 likes in 1 month. 16 reposts in 1 month. While some students dream to reach these numbers, for Julian Elliott, senior, these numbers are his reality. 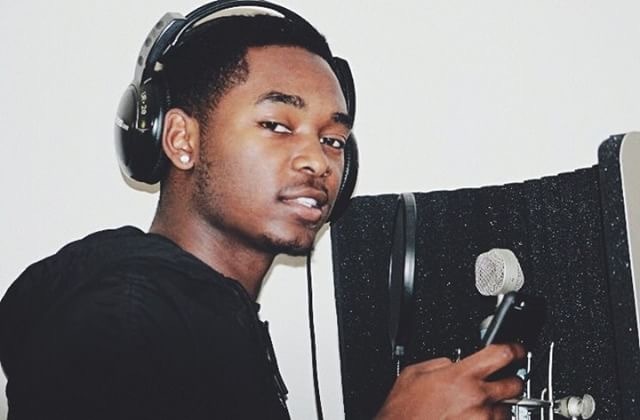 Over the past month, his rap song “Coolest of Da Coolest” gained attention on SoundCloud, a social platform that enables users to stream and share songs. Elliott was amazed by the feedback that came from his song. The song was published after he had gone quiet for a while and hadn’t released anything since last year. When Elliott was 11 years old, he was inspired by his 18-year-old brother to begin rapping. He didn’t put his main focus on rapping until four years later when he really began to commit to the art through developing and perfecting his own style. “Everyone knew that I had a little vocal harmony, but I never really took it seriously until then,” Elliott said. From there, Elliott continued to further his career by coming out with music videos as well as new content. Elliott said there’s only a slight chance to go viral off a song, so he needs to focus on networking, marketing and consistency. Elliott described his style as a mix of both rapping and singing. In his songs, he writes about what’s real and happening in his own life. Despite his achievements in rapping, Elliott’s main goal in life is to become an actor. He said that realistically, he won’t be going to school for acting because of the focus on theater and Broadway. He loves music but hopes it can benefit him in getting the acting career. Jaiden Williams, senior, is not only Elliott’s friend but also listens to Elliott’s music. Williams said Elliott definitely works hard and takes his work seriously. Williams said Elliott is a guy that anyone could get along with and is easy to talk to. Elliott looks out for his friends and always has their backs. Kylie Wurgler, MHS TV adviser, described Elliott as upbeat, optimistic and hardworking. Just over the time Wurgler has had him in class, she’s seen his music grow in popularity. Ok, I know I comment a lot on Messenger posts but, one thing bothered me this entire article. that is you said Elliot and Elliott I just wanted a clear explanation of this. Besides that good story!